Cold Water Tank Insulation foam, UL approved. Under sink hot water boiler. CJ-301-1 can be installed under the sink to save the space. 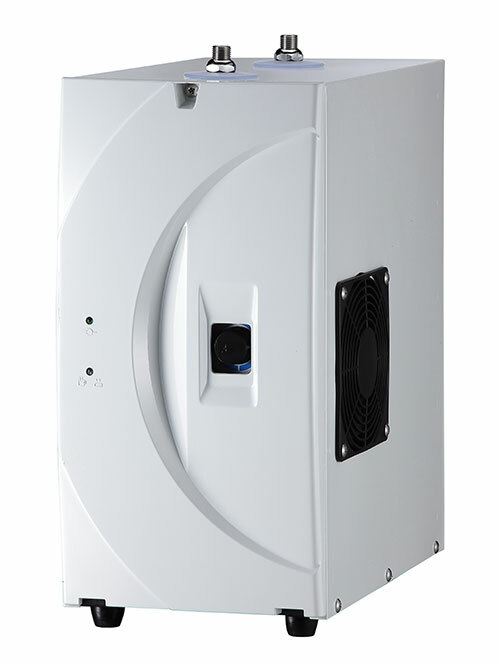 CJ-301 adopt air-cool type heat consumption system (2 condensers without cooling fan.). Please install gooseneck hot & cold water tap (our model: 7004) along with CJ-301-1. 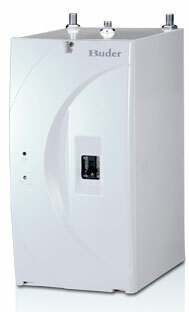 CJ-301 can be installed under the sink to save the space. 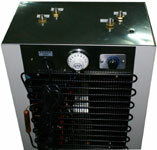 CJ-301 adopt water-cool type heat consumption system. The cooling power is strong. By the way, the compressor working voice is quieter when using this system. Please install gooseneck hot & cold water tap (our model: 7004) along with CJ-301.